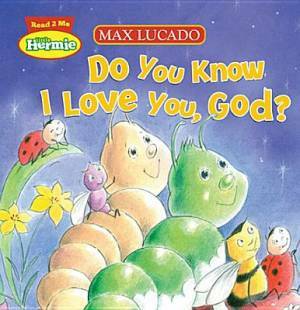 Hermie Do You Know I Love You God Bb by Max Lucado was published by Thomas Nelson in September 2012 and is our 9140th best seller. The ISBN for Hermie Do You Know I Love You God Bb is 9781400320653. Be the first to review Hermie Do You Know I Love You God Bb! Got a question? No problem! Just click here to ask us about Hermie Do You Know I Love You God Bb.